As we continue to talk about being healthy we are addressing germs again. Tis the season when colds and virus’ start to make their way around group settings . We want to give the children all the information we have to make sure we stay safe. 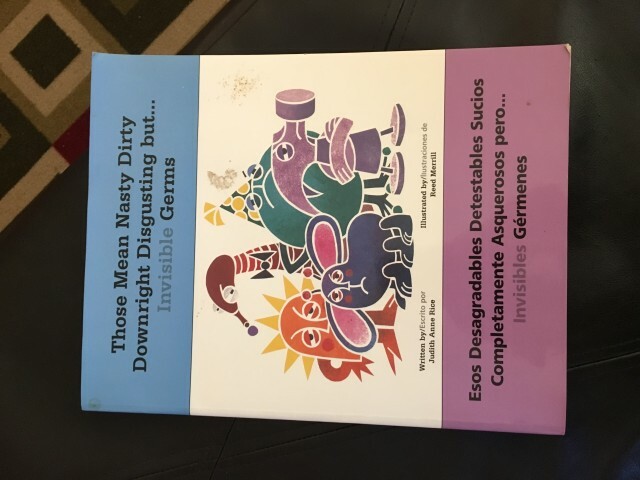 The book we read today ( video above ) is one of the best books I have found for explaining germs. After reading the book Parker even said ” I remember that book from last year Ms Debbie ! 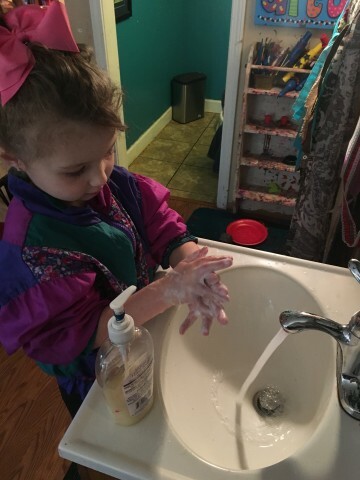 ” The book talks about the different germs that can get on our hands and how important washing our hands correctly is. There is a ear ache germ and the head ache germ but there is one germ that LOVES water and he needs you to dry your hands really well to make sure he is gone. He is the blue throw up germ. As we read the book you could see the kids processing and looking at their hands for the invisible germs. We made an emergent reader called ” I LIKE FOOD.” Who doesn’t ! 🙂 Emergent readers are a great way to connect home and school. Ask your child to ” read ” the book to you at bedtime. We also read the book called Mrs McNosh Giant Squash . At the end of the book Mrs McNosh ends up living in her giant squash . I asked the littles if YOU could live in ” food ” what would you live in ? I totally would live in a roll… I could take a little nibble here and a little nibble there. We have been blessed with the cutest warmest little house shoes ever. 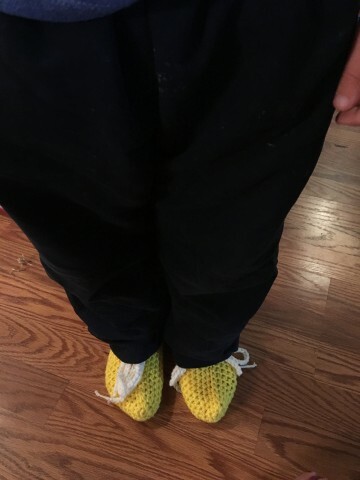 Dallas’ mom made these crocheted house shoes for when the little’s feet get cold. Blessed. If you see her tell her thanks for you can write a note and put it in Rani’s mailbox.